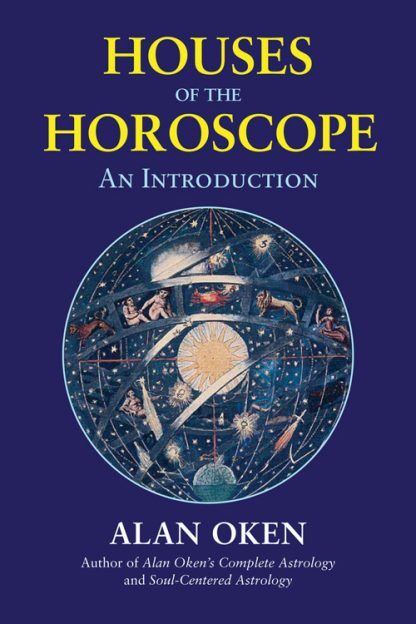 Every astrologer needs a good understanding of the astrological houses, and Houses of the Horoscope: An Introduction provides a practical and valuable sourcebook. Alan Oken masterfully guides you through the concepts of the meanings and the nature of the twelve astrological houses. He provides a core description of the twelve areas of life delineated by the astrological house system. The energy of each of the planets in the houses tells us where on Earth that planet's energy lands and what area of our life it highlights. He gives a masterful analysis of how the astrological signs on the house cusps and the planets ruling the signs on houses express the nature of each house. The planets, signs, and houses in a chart represent the "whats", "hows", and "wheres", of your life. The planets tell us "what" kind of energy is at work. The signs indicate "how" this energy is working. But it is the houses that reveals "where" the events, people, and places in your life may be found. Alan Oken provides an expert guide to the understanding of the astrological houses and their interaction with these other elements of the horoscope. * Houses of the Horoscope brings Alan Oken's expertise and insights into an important area of astrology in a profound but easy-to-understand way. * Gives the meanings and areas of life for each of the houses of the horoscope, including how derivative houses are found. * Houses are a key element in understanding astrological interpretation.